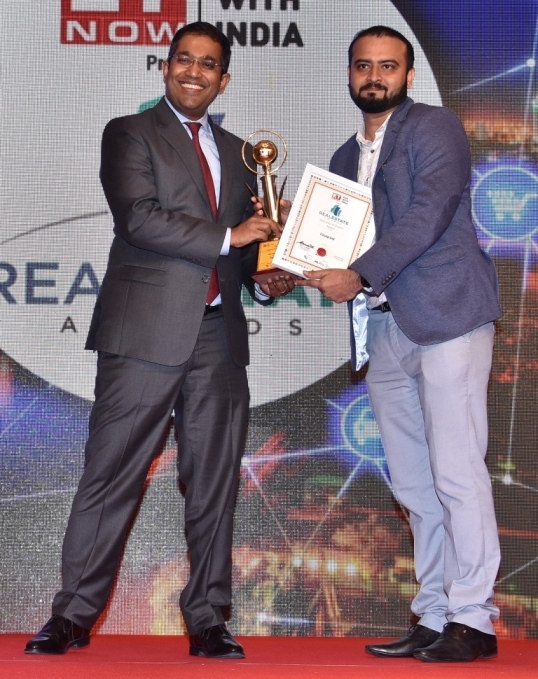 Casagrand Builder Private Limited, one of South India’s leading real estate developers in the niche space, has been honoured with a coveted award - Real Estate Awards 2018 under the category ‘Excellence in Delivery’. Casagrand has positioned itself as customers’ favourite through its consistent quality management which indeed benefits them to prosper in this most competitive sector. Over 5000 happy families across 68 landmark properties stand testimony to the brand’s commitment. The company has developed over 9 million sqft of residential real estate across various Tier I & II cities including Chennai, Bengaluru and Coimbatore in last 14 years. Casagrand has always remained as a transparent and consumer-friendly realtor, which got even better in last couple of years. Casagrand’s quality, continuous innovation, timely deliverables, integrity and fairness are the key factors that make it a trusted brand in the region’s real estate sector. Casagrand, incorporated in 2004, is an ISO-certified real estate enterprise committed to building aspirations and delivering value. In the last 14 years, the company has developed over 9 million sq. ft. of prime residential real estate across Chennai, Bangalore and Coimbatore. Over 4000 happy families and more than 12 projects delivered in last two years alone, stand testimony to Casagrand’s commitment. In the 14th year of its journey, Casagrand is all set to progress further with projects worth over INR 6500-cr in the pipeline. Top 5 investors in Indian Share Market..! What is Value mutual Fund ? Bharat - 22 ETF – Should I invest? DLF Ltd Fined Rs. 10 lakh for wrong disclosure..! HDFC Bank - online loan against mutual funds ..!